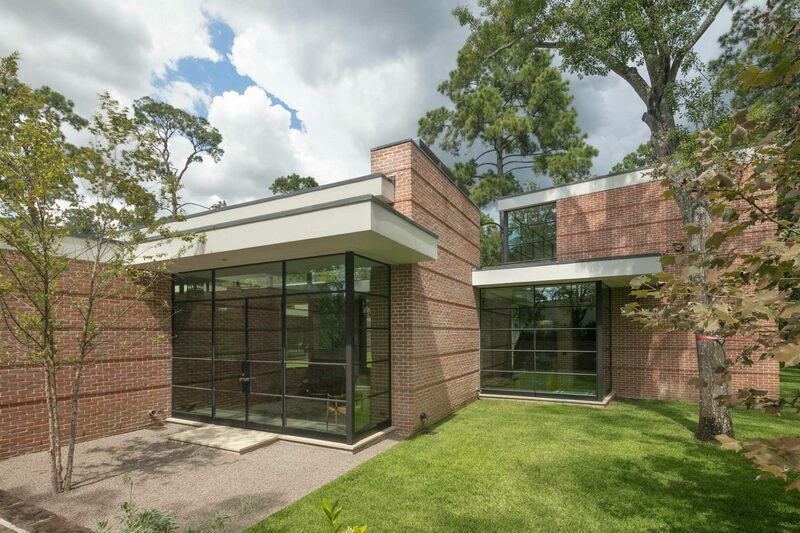 Our custom steel doors complement modern, contemporary and classic residential and commercial properties while providing space-efficient openings and useful function. By design, our metal glass doors have slender lines and minimal profiles to let the light flood in. 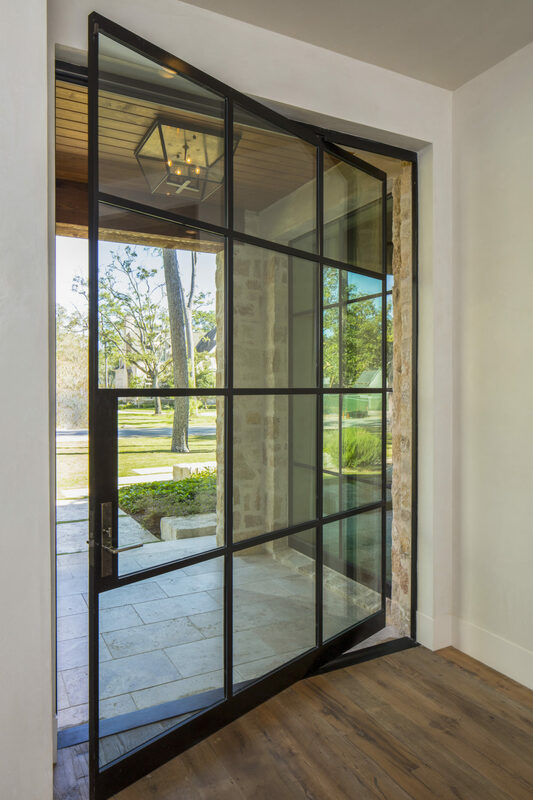 They are crafted in-house by three generations of master blacksmiths and constructed with strong steel frames to create doors that exceed industry standards and are top of the line in durability for climate and longevity. As with all Portella product lines, we can create custom metal doors in any size, shape and configuration to suit virtually any application. We are the only door manufacturer of thermally broken doors to include a thermally-bonded zinc galvanizing corrosion resistant coating. That produces doors that last a lifetime even in the most demanding climatic conditions. Our steel glass doors are also available in standard and custom paint options so you can find the perfect fit for your project. Our black steel doors are custom crafted to fit the style and particular needs of a wide range of building types. We create five different styles of metal glass door. That includes French doors, sliding doors, double doors, bi-fold doors and a simple but incredibly elegant single door. All of our artisan doors are designed to enhance the visual appeal of any property type while meeting the highest safety and endurance measures. Portella steel and glass doors also feature additional functionality. For example, our thermally broken doors are NFRC-rated and exceed all energy efficiency requirements, while our innovative pivot doors swing gently on ‘invisible’ hinges to open and close with just a touch. Some of our doors also have fire protection capabilities. Whatever your requirements, rest assured that we can craft a custom metal door to meet them. Thermally Broken – Thermal steel doors deliver robust durability and exceed all current energy efficiency requirements. We are the only custom steel door manufacturer to include a thermally-bonded zinc galvanizing corrosion resistant coating for doors that can withstand the harshest weather conditions. 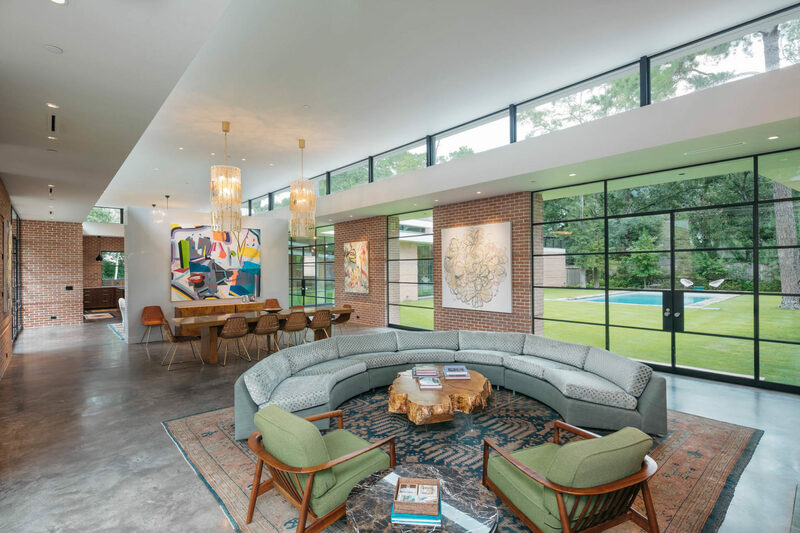 Classic – A classical range of metal frame doors that integrate larger expanses of glass to create a timeless, minimalist aesthetic that many modern homeowners and architects desire. Storefront Exterior – Our storefront exterior doors provide superior strength and durability and meet increasing demand from commercial projects for custom size steel doors on a restricted budget. Storefront Interior – A high-end range of interior doors that can transform office and commercial spaces. The sleek appearance of our custom steel doors is the perfect complement for modern office environments. All of our custom size steel interior and exterior doors are made to your exact specifications. The first step is to contact our team. We’ll be able to answer any questions you have and talk you through the process. We’ll need details about your project and the size and location of the doors you require. We’ll then be able to create a detailed quote for you to review and approve. We assign a project manager to every order so you will have a dedicated point of contact throughout the process. We take great pride in our prompt communication with customers and will be in regular contact throughout the process. Aesthetics – The narrow sightlines and minimalistic nature of our metal frame doors create a lasting first impression. Quality – Our state-of-the-art manufacturing facilities and individually assigned design specialists ensure every project is a stunning success. Price – We retain every stage of the process in-house to avoid additional markups and keep our steel door prices down. Superior climate durability – Reduce your energy bills with custom steel doors that are designed specifically to meet the climatic demands of your state. Custom-fit – We create custom size steel doors that are suitable for virtually any residential and commercial application. Energy efficiency – Our doors are NFRC-rated and exceed all energy efficiency requirements. Long warranties – Every one of our metal frame glass doors carries an exceptional warranty of between 10 and 20 years.